As you approach the top of the steep climb, you round this rocky outcrop. You'll climb up some steps on top of a steep cliff to an overlook with another resting bench. 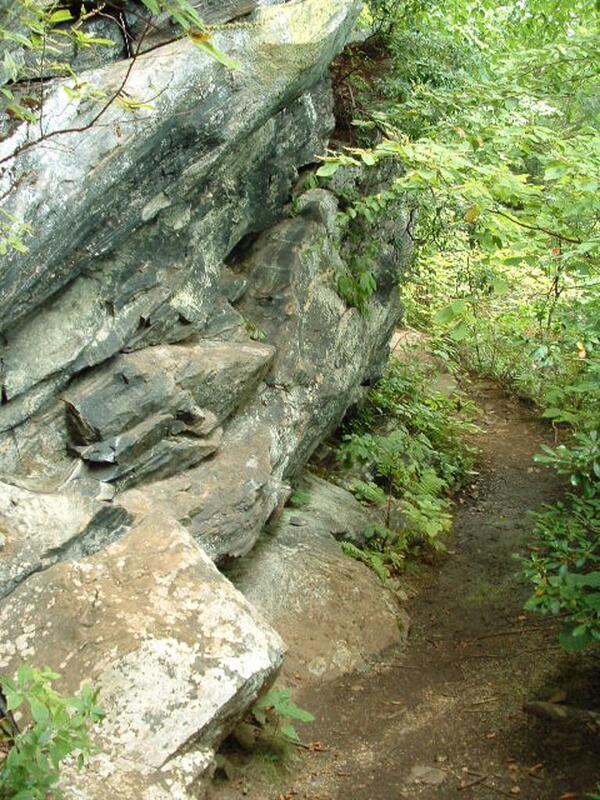 The trail is wide and safe, with a handrail - but do not venture near the unprotected edge at the overlook. The view is just as good from level ground on the trail!